Server replication software is a class of solutions that allows copying all data, functions and settings of a particular server to another server unit, either physical or virtual, to make a mirror, a cluster or just another server with same functions. Handy Backup allows server replication via disk image plug-ins. To make a server replication, you need to create an exact copy of an existing server, including all its applications, settings, data both stored and processed, and all other things that made this server unique. Then you must restore this server image onto some other server unit, hardware or virtual machine. To create a server replication, you must firstly backup an original server, and then restore this backup to another server unit. The dedicated "System Recovery" plug-in fits exactly to perform these actions. Let us show you how to use it for "backing up" the server to be replicated. Open Handy Backup and create a new task (you can just press Ctrl+N, or use a button). Select a backup task on the Step 1. Go to the Step 2. Here, in the "Disk Clone" section on the left panel, select the "System Recovery" plug-in. Note: If you are creating a server replication via the network, then firstly select a computer in your network by using the drop-down list in the upper left corner of the Step 2 window! Click the ">>" button, or just double-click on the plug-in name. A dialog will appear. Select drive images of all drives on your server with checkboxes. Click OK.
On the Step 3, select a vault of an appropriate size to store your server backup. Now you can click "Next" until finish, or tune up your task as described in the User Manual. Run your task. You will get a copy of your server image as a set of VHD disk image files. The ultimate solution for making Linux and Windows server replication through a local network, the Server Network edition contains all functions that you can need to make server copies without an effort! 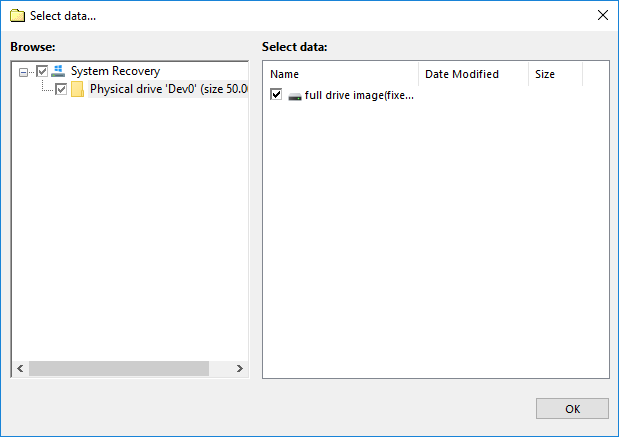 Now you have a drive image file (or some files), and it is a time to restore these files onto other server units. You can perform this action by some ways, depending on what you want. 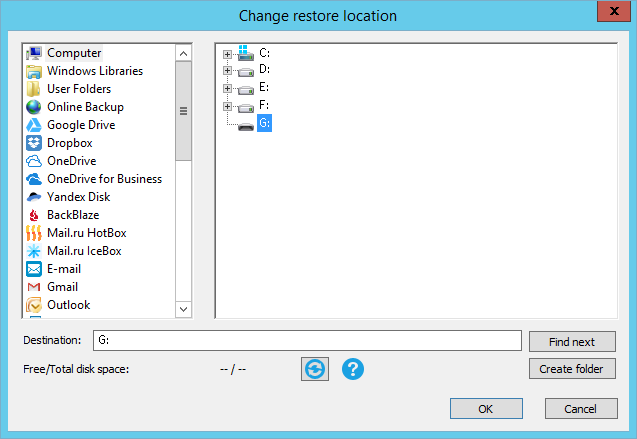 To send a server replication to another machines in the neighbor (for network-oriented solutions), create a restoration task and change the restore location to each server where you must send your server replication. Then run these tasks in a sequence. 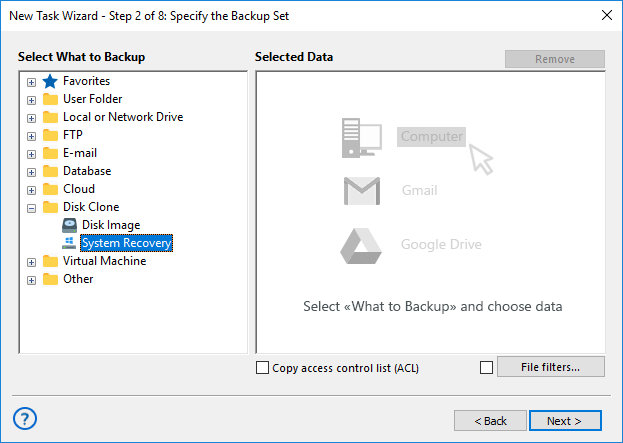 To create a manual replication on bare metal server units, use the Handy Backup Disaster Recovery software utility from a dedicated USB drive, connecting it with the containers where you store your disk image backups. Finally, to create a virtual server replication, just copy a VHD image file to another file as many times as you need for all servers in your virtual machine array. Then directly use these VHD files as virtual disks for your servers. You can create a FreeBSD, Linux or Windows server replication without an extra effort by using a plug-in that creates a logical copy of disk with all partitions and structures. The comprehensible, readable VHD format allows mounting, browsing and using server images as virtual drives. 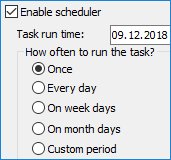 You can schedule your server replication tasks by a time (with a repeating interval) or by a system event, such as inserting a USB storage into a computer. You can also run external software before or after taking server replication, for further automation of the process. In addition to using secured protocols and transferring procedures, Handy Backup allows taking different extra security measures such as data and traffic encryption, auto-starting missed tasks, informing a user through emails about all activities of the program, and do many other things. 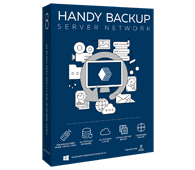 Try Handy Backup as your trusted server replication software! To get a personal experience with Handy Backup, do not hesitate to download and install a newest version of the program with all functions available for a 30-day free trial period!